Drink: They have a nice selection of beers and cocktails. 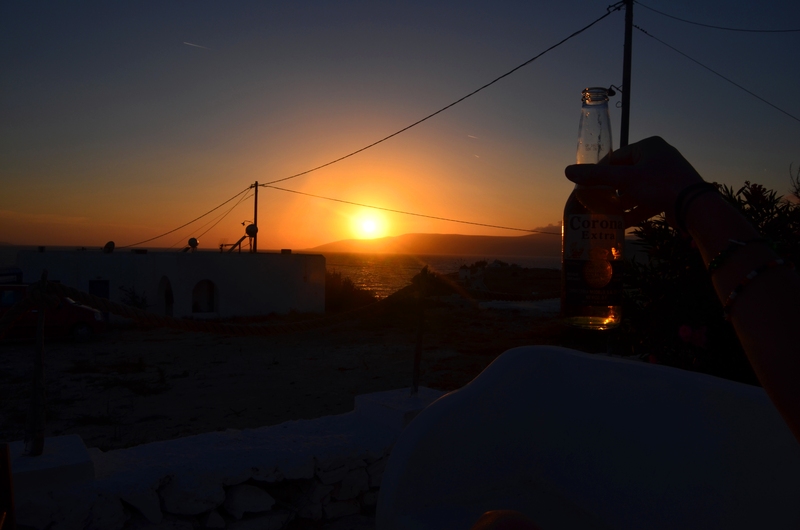 For me there is nothing like a cool beer whilst watching the sunset. 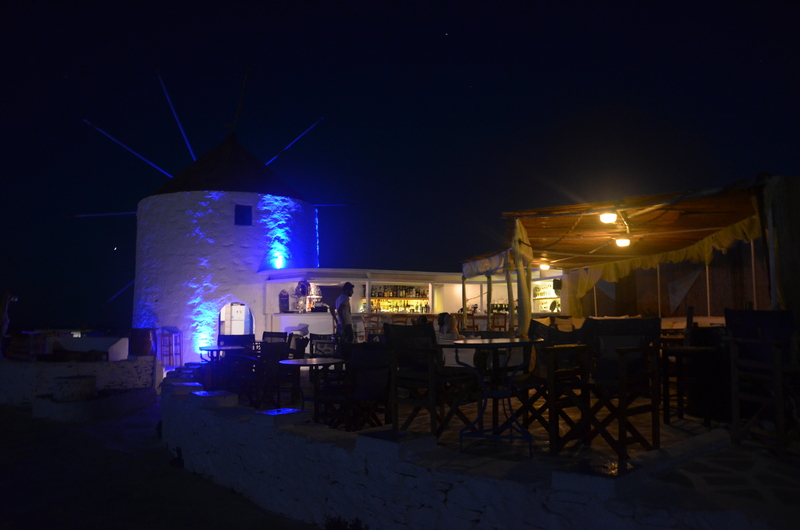 Price: Compared to other islands of the Cyclades (like Santorini or Mykonos) you’ll find the prices in Koufonissi very cheap… However for the island itself this bar is one of the more expensive ones… But it also has one of the best views of the island so its worth it. 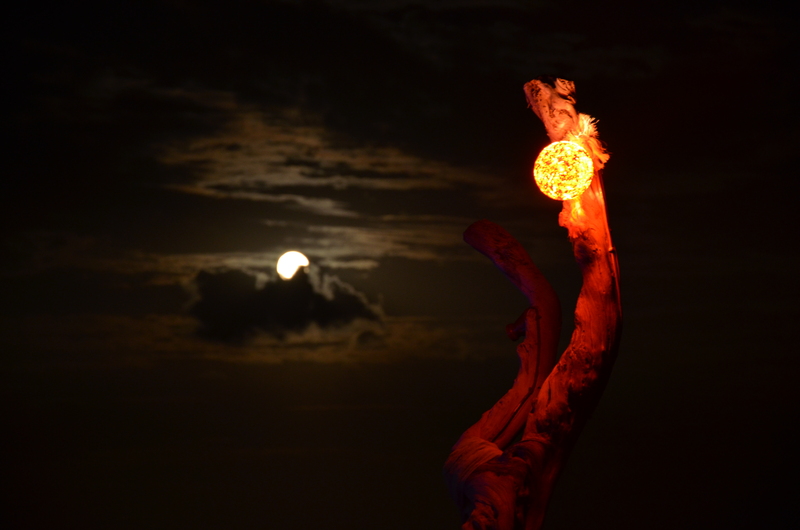 My tip: Go for sunset and moon rising… Its truly an amazing spot. 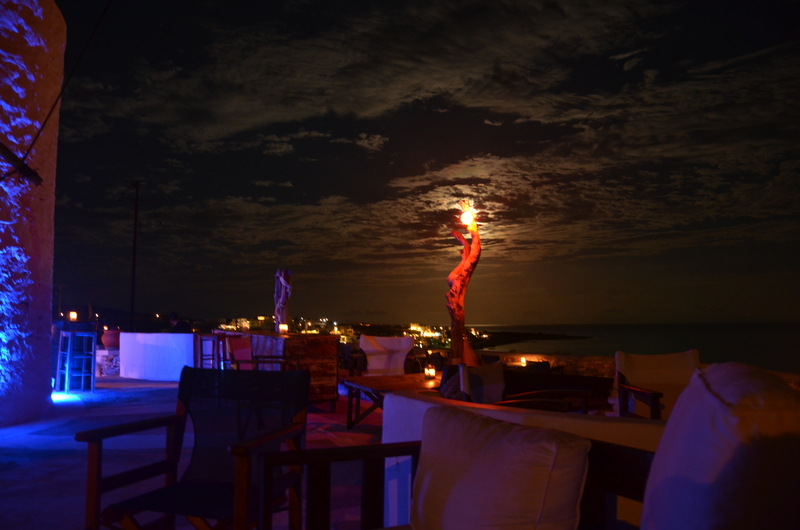 You can watch a beautiful sunset and see the moon rising shortly after that. If you like it quiet go in the beginning of June or September and you’ll have the bar to yourself. Want a party? Then July and August are good months for you. The bar will be crowded and will have more of a party vibe. If you do island hopping in Greece don’t miss out on Koufonissi! Do: Bring something warm to wear. 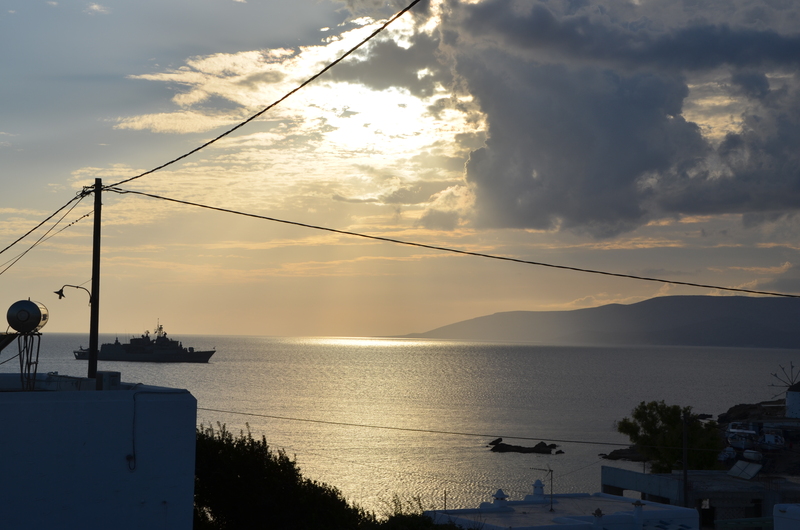 Greece is very hot in the summer… However when the sun sets it can get quite cold especially on the islands. Whith the “Meltemi” wind blowing in the summer you don’t want to ruin your night by not having something warm enough to wear. This entry was posted in Greece, Places behind Drinks and tagged Bars, Cyclades Islands, Drink, Greece, Koufonissi, Photographie, Tourism, Travel. Bookmark the permalink.